Being one of the cleanest and greenest cities of India, Hyderabad also boasts of a number of beautiful and well-maintained parks. Dedicated to its citizens, the parks not only offer clear pathways for jogging and other physical activities but they also have kids play zone, ponds and gardens. Moreover, when it comes to the man-made parks of the city, they are located close to a lake making boating a possibility within the city itself. So, after you have visited all the forts, monuments, museums and the bustling shopping streets of Hyderabad, we recommend you spend some time in the beautiful parks in Hyderabad. 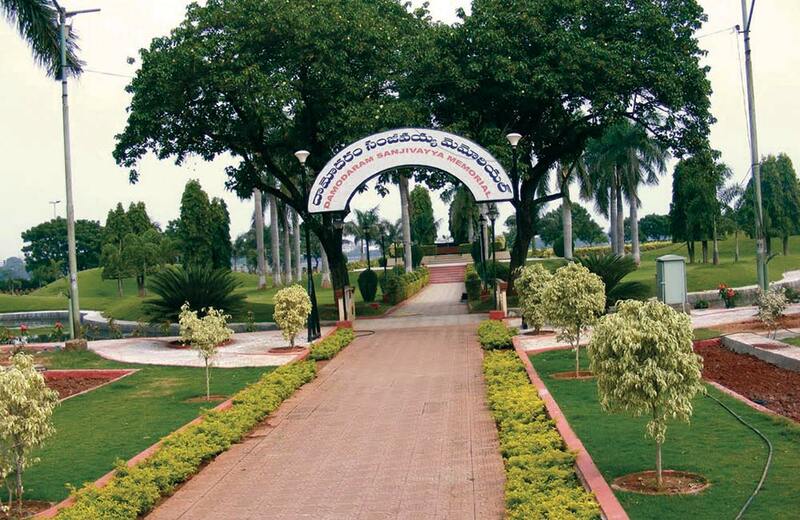 Some of these parks in Hyderabad are well-manicured while others have been built on naturally green areas. If you want to know the timing and location (and entry fees where applicable) of the parks in Hyderabad, we suggest you read the rest of the blog. One of the famous parks in Hyderabad, this one is dedicated to the Late Indira Gandhi. Located in the heart of the city, the park is an elegant and well-maintainedsite which offers a lot of options for recreation. 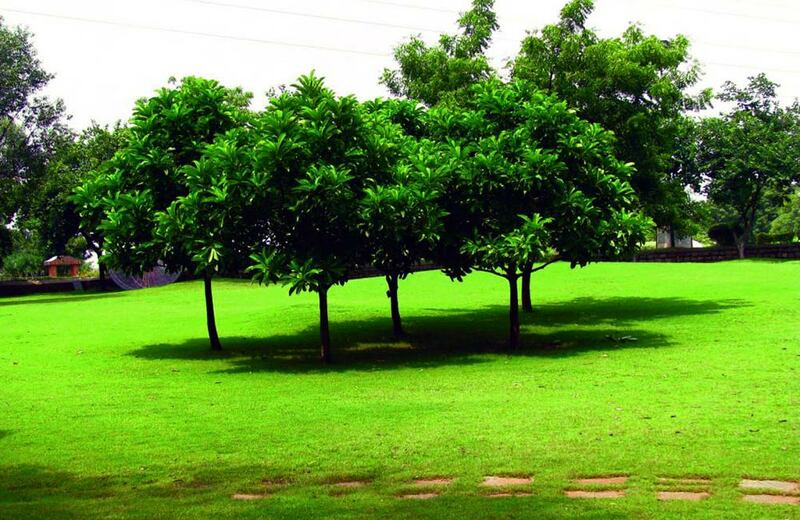 The presence of a myriad of plants and trees makes Indira Park an interesting place for botanists and people who generally want to surround themselves with lush greenery. When the entire park was being built, the authorities took special care not to disturb the existing sandalwood trees, Keuvda plantation and date palms. While you can always go to this park for your morning walk or evening strolls, boating in the Husain Sagar Lake is one thing the locals recommend. For a definite guide to the best water parks in Hyderabad, click here. 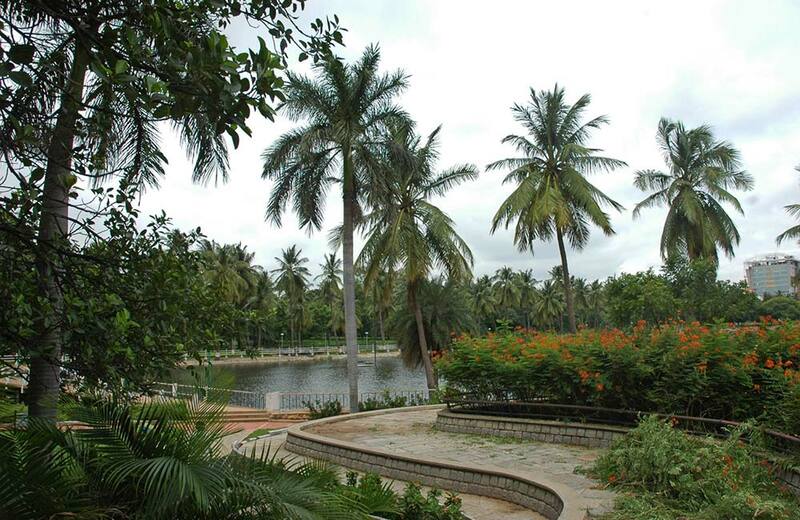 Spread on a sprawling 92 acres, this is by far one of the best parks in Hyderabad. 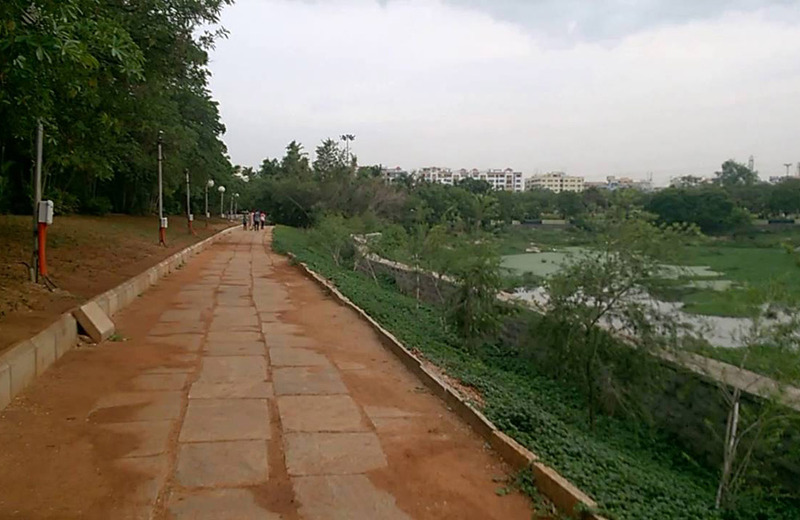 Also regarded as one of the prime tourist places in Hyderabad, the Sanjeevaiah Park has well-kemptpathways for both cyclists and joggers. Moreover, it also has rolling hills and patches of green land which will definitely be ideal for kids. The various swings and slides in the park were constructed keeping childrenin mind. Apart from this, a recently added Rose Garden is another major attraction of the park. People can easily spend a couple of hours indulging in their daily run or simply sit back and do some light meditation. It is the only park on Necklace Road,and is being managed by the Hyderabad Metropolitan Development Authority. 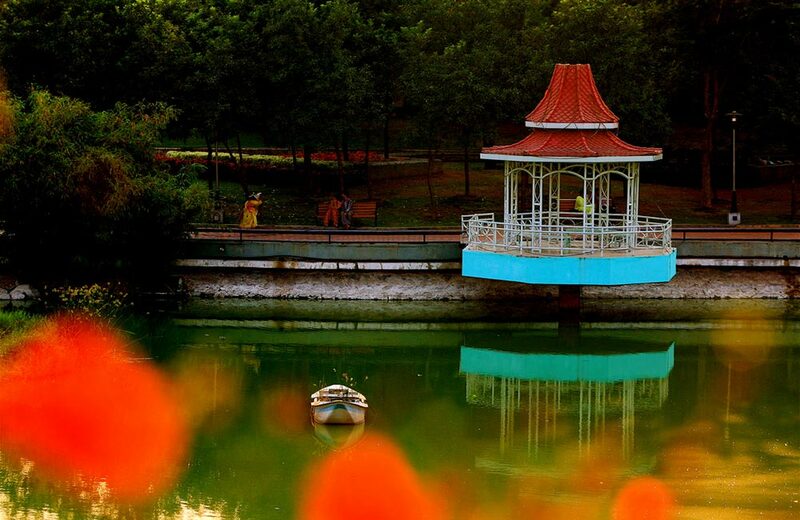 Another beautiful park located in Hyderabad close to the Husain Sagar Lake, the Lumbini Park is named after the birthplace of Lord Buddha – Lumbini in Nepal. 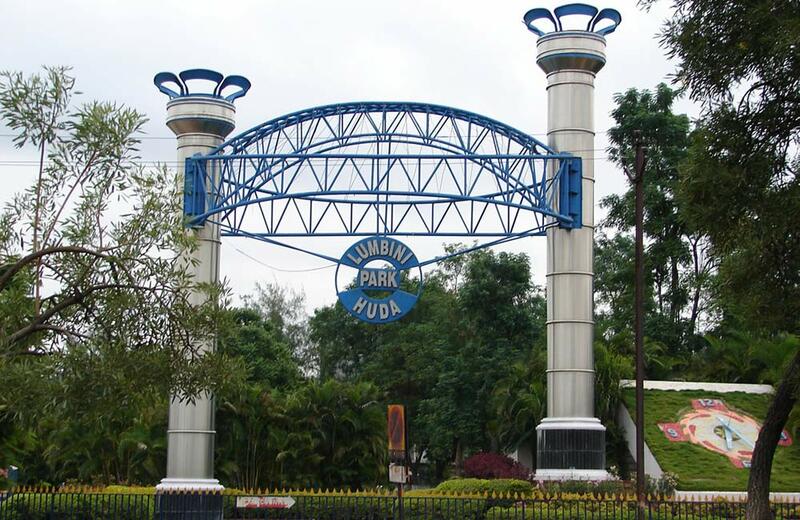 Developed by the Hyderabad Urban Development Authority and opened in the year 1994, this park’s official name is T. Anjaiah Lumbini Park. Ideal for relaxation and amusement, the park has everything from boating spots to breathtaking views of Husain Sagar Lake. Kids will especially enjoy coming to the park as there are guided rail-car rides, and eateries where they can devour their favourite snacks. If you stay back in the park till evening, do not miss the famous and ethereally beautiful fountain and laser show. Entry Fees: INR 10 per Person, Charges for Speed Boating, Fountain and Laser Show and other activities vary. For a list of the best amusement parks in Hyderabad, click here. Spread on a sprawling 56 acres, NTR Gardens is perhaps one of the few gardens that open to the public in the afternoon. Touted as one of the most beautiful parks in Hyderabad, it has several trees, shrubs and other type of flora that keep the visitors enthralled. If you are looking to take a break from the chaos and hustle of daily life and want to spend some time unwinding someplace tranquil, this is just the place to be. Complete with long and meandering pathways, machan tree, car cafe and a Japanese Park for children, you can easily spend 3-4 hours here with your family. The machan tree is the prime attraction because it is where children flock. 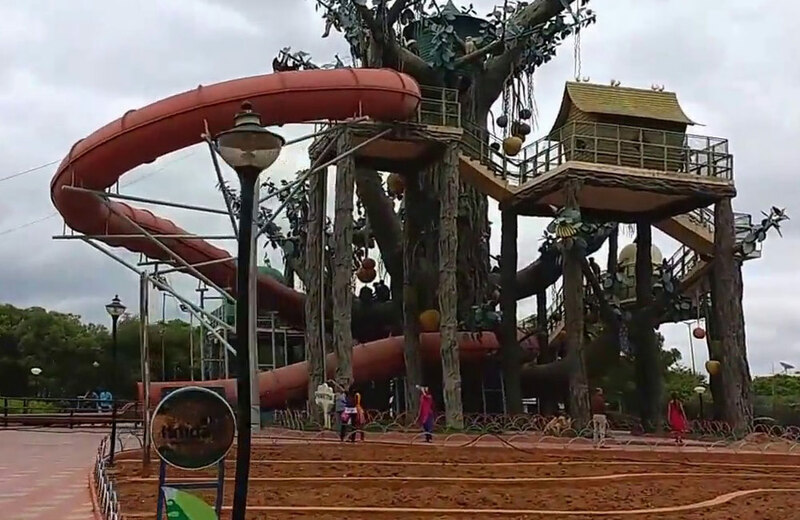 It is basically a multi-level slide surrounding a tree which makes it a fun spot for children to hang out together. On the other hand, the car cafe is the place where the adults like to unwind and have some long conversations with their loved ones. Sit here in vintage cars thatdouble as your table and chair for dining. P.S: It is also one of the best parks in Hyderabad for couples. Entry Fees: INR 15 per adult, INR 10 per child. For the best hangout places in Hyderabad, click here. While all the other parks in Hyderabad we have discussed up till now have had some sort of USP driving their footfall,it is not the case with this simple yet serene park – Krishna Kanth Park. The large green expanse along with the well-maintained pathways makes this for the kind of fuss-free park that you would want to spend your time at. However, we recommend you avoid it on the weekends as it is bound to get crowded. A lovely eco-tourism spot, the Botanical Gardens is not just for your leisurely strolls but also to make yourself more aware of nature and how best to be tandem with it. 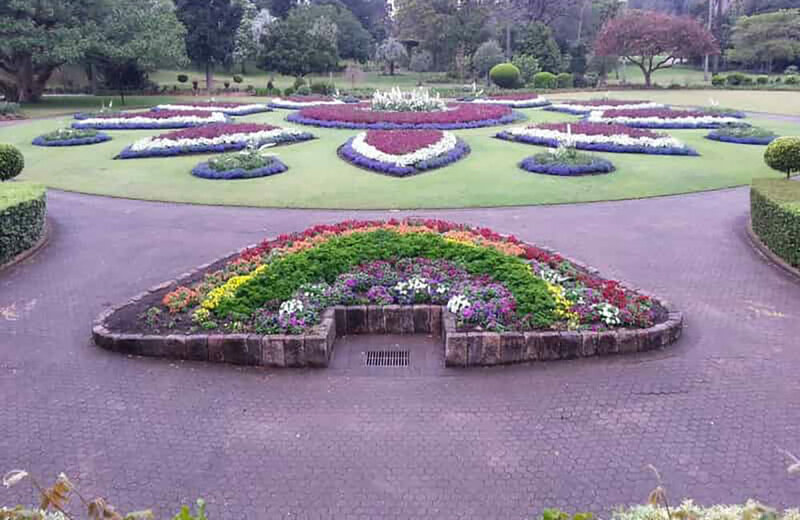 The entire garden is thick with vegetation and if you want to soak in lush greenery without escaping the city, head to the Botanical Gardens. With scores of eucalyptus and pine trees adorning the park, you are bound to be mesmerized by it. Also, the fact that the entire park is spread on 270 acres gives you enough space and time to unwind. The bamboo and pal sector is another attraction of the entire park and worth a visit when you are here. Developed and maintained by the Forest Department, the garden is a respite for city dwellers as it not only has beautiful expanse and lush greenery but mesmerizing water bodies to compliment the flora. Entry Fees: INR 25 per adult, INR 10 per child. Extra costs for nature photography for which you will have to enquire beforehand. Located close to the Botanical Gardens and the Nehru Zoological Park, Kidwai Gardens is another beautiful park in Hyderabad one can visit for picnicking or simply unwinding in the lap of nature. 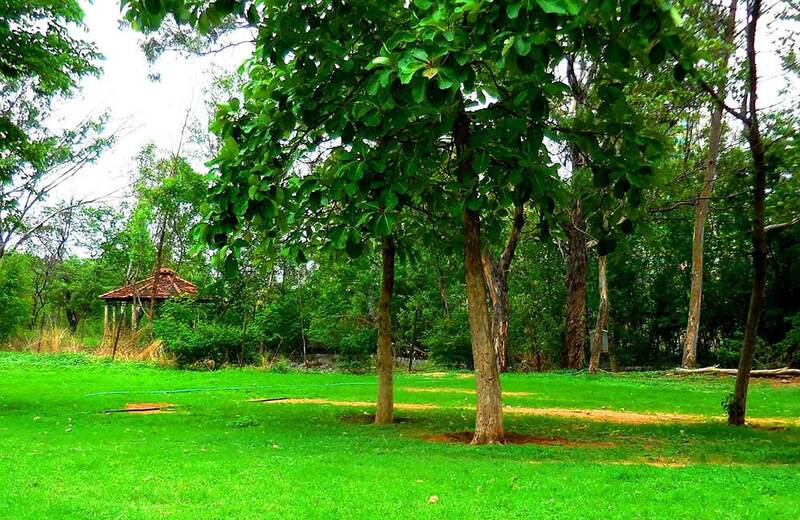 While the other major parks in Hyderabad are within the city itself, this one is located on the outskirts of the city. Complete with swings and other rides for children, the garden was opened to the public in the year 1974. During the time of its planning and inception, Ashoka and Banyan trees lined the outer edges of the park to give it some sort of fortification. This today has become a great spot for children as they can joyfully spend their time playing hide and seek. One of the oldest parks in Hyderabad, this one is not only a haven for nature lovers but also all the people who crave knowledge. How can you gain the latter from a park? The answer is that the park is hosted and maintained by two museums jointly – Health Museum and Telangana State Archaeological Museum. These two museums ensure that children visit the park regularly and in this regard various school picnics are conducted here. Coming back to the park, this one was constructed during the reign of one of the Nizams of Hyderabad for his people. The garden is also known by the name of Bagh-e-aam. The garden itself is so huge that it houses many an important buildings. It also has museums which houses relics, rare artefacts, and an Egyptian mummy. An ancient mosque called Shahi Masjid is also situatedinside the premises of the gardens. One of the best parks in Hyderabad, this one is maintained by a private contractor who took over the responsibility from GHMC. Named after one of the chief ministers of Andhra Pradesh, the JVR park is ideal for long strolls or simply spending some time with your family and friends. The park is spread on 10 acres and was opened to the public in the year 2002. It’s strategic location between two of the most prime locations of the city – Banjara Hills and Jubilee Hills ensures that the footfall to the park is always at the top. A man-made crater was built in the middle of the park to house a beautiful pond. The entire park is lined with concrete pathways and makes for a beautiful place for a walking or jogging. There are various slides and swingsthatwill keep the children busy. Built with the aim to provide respite to the residents of the neighbourhood area, the Chacha Nehru Park is a beautifulandmaintained park in Hyderabad. With green landscapes forming dunes at certain points and every kind of swing and slide built for children, you can easily spend time here, either alone or with your family. The park also has a lawn area thatis perfect for playing badminton or other sport that doesn’t disturb the tranquillity of the park. To know more about high-end dining restaurants in Hyderabad, click here. 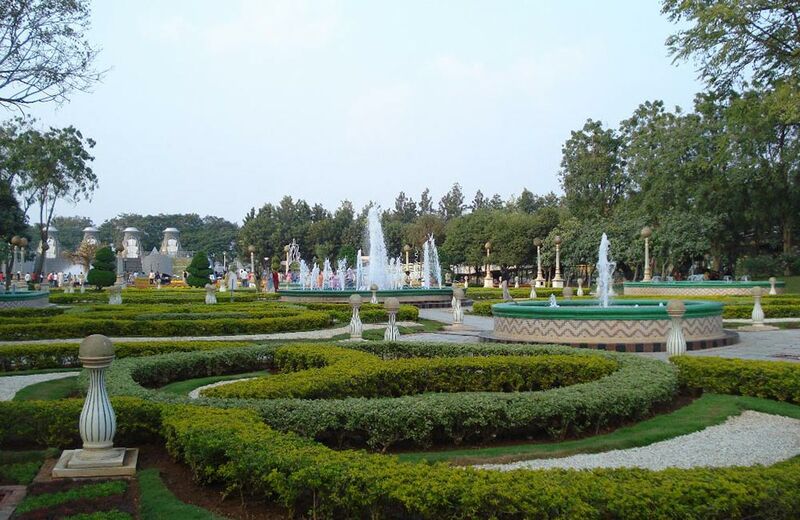 Liked the brief tour of the parks of Hyderabad? Pack your bags, jot down your itinerary and head to this beautiful city for your next adventure. You will not only find the finest food, historic forts and knick-knacks but parks that exemplify the beauty of the entire city.